This article was written by Katrina Vanden Heuvel. For them, Afghanistan and Iraq will not suffice. They want to take out Syria and Iran, and speed full steam ahead towards World Wars III and IV. The Weekly Standard asks simply, "Why wait?" 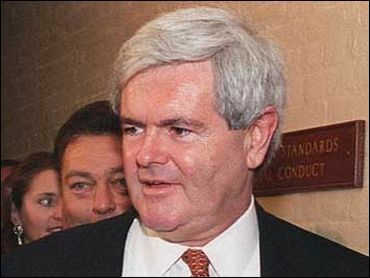 According to Newt Gingrich, there is no need to wait at all. On "Meet the Press" this past Sunday, he offered that the Israel-Hezbollah conflict "… is, in fact, World War III" and "the U.S. ought to be helping...."
And how might the U.S. help fight Newt's World War? The Weekly Standard provides the answer: "It would be easier to act sooner rather than later. Yes, there would be repercussions — and they would be healthy ones, showing a strong America that has rejected further appeasement." George Will — not exactly your run-of-the-mill, card-carrying liberal — describes the neocons as "so untethered from reality as to defy caricature." But what has caused them to become so completely unhinged (even more so than before, if one can imagine that possibility)? With the deteriorating occupation in Iraq and a resurgent Taliban in Afghanistan, the neocons have been completely discredited. Meanwhile, the Bush administration is engaging in a "muddled multilateralism" — not quite pursuing diplomacy but not acting unilaterally at the whims of the Decider et al., either. And this simply infuriates them. As Danielle Pletka of the American Enterprise Institute (AEI) told The Washington Post, "I don't have a friend in … any part of the conservative foreign policy establishment who is not beside themselves with fury at the administration." Well, perhaps The Weekly Standard staffers, editors, and allies at the likes of AEI will harness some of their "fury," put on flak jackets and (poorly) funded armor (is there enough to go around after Iraq? ), and go fight their own failed war in defense of their own failed ideology. Meanwhile, the rest of us will remain here on this planet.